Get ready for back to school/parent night with these editable stations. 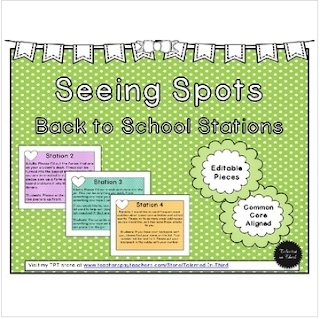 Includes 5 premade signs as well as 5 editable signs if you wish to print and use these as stations. Or as an alternative, you could use it as a powerpoint scrolling as parents come in. Or both!!! Text used is Nice and Neat. Link is included if you wish to match the current formatting.